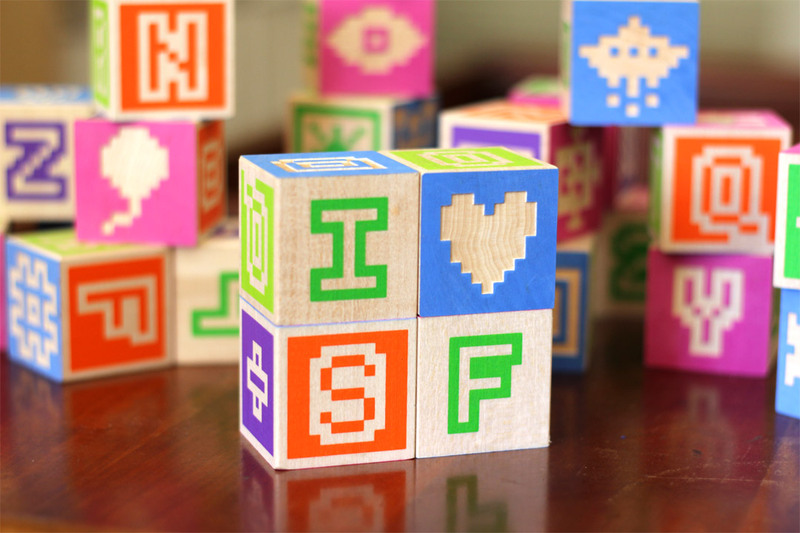 Glyfyx is a creative studio just a hop from the cable car turnaround on Powell Street in San Francisco. 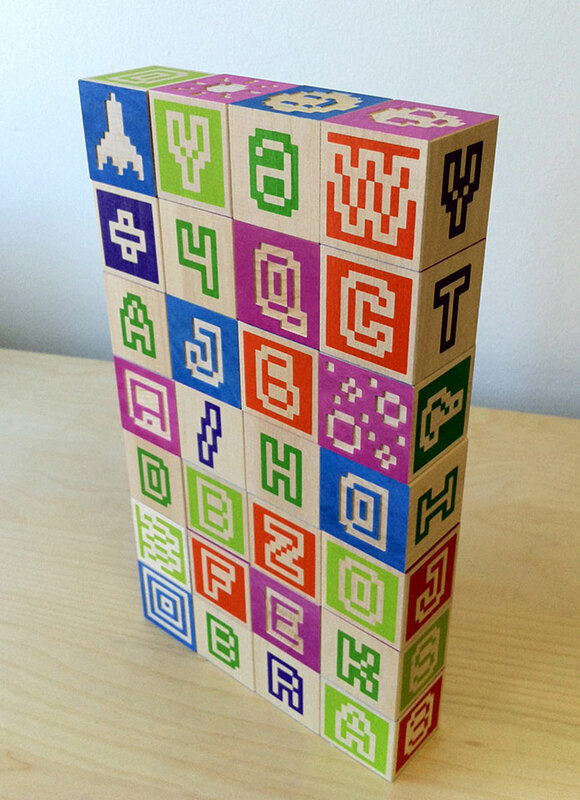 Our creative team hails from diverse backgrounds, but we all share a love for the alphabet. 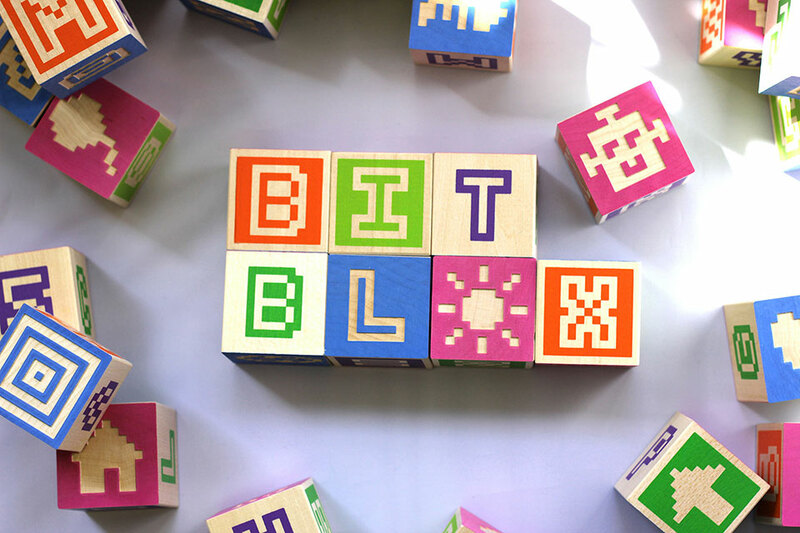 Bitblox are a celebration of pixels — those eensy data dots that have brought meaning and joy to our lives since the sun-dappled days of Pong. 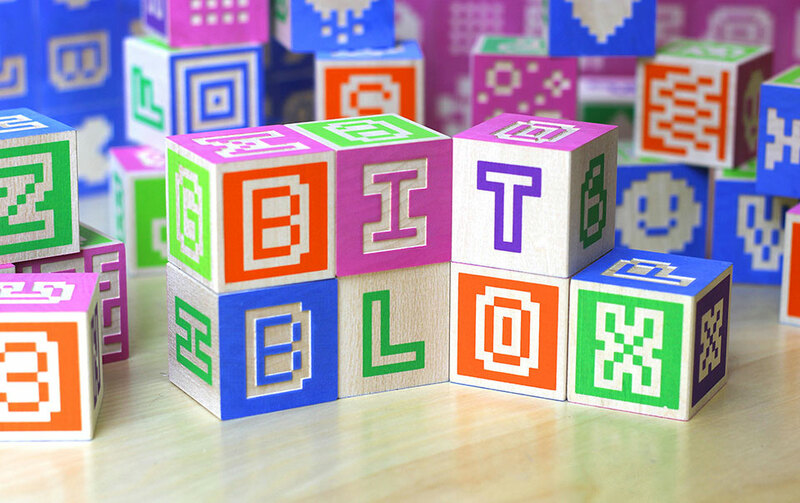 While pixels continue shrinking out of sight on our digital screens, they live on in full chromatic and tactile splendor in these one-of-a-kind blocks. 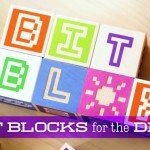 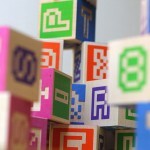 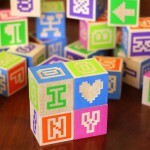 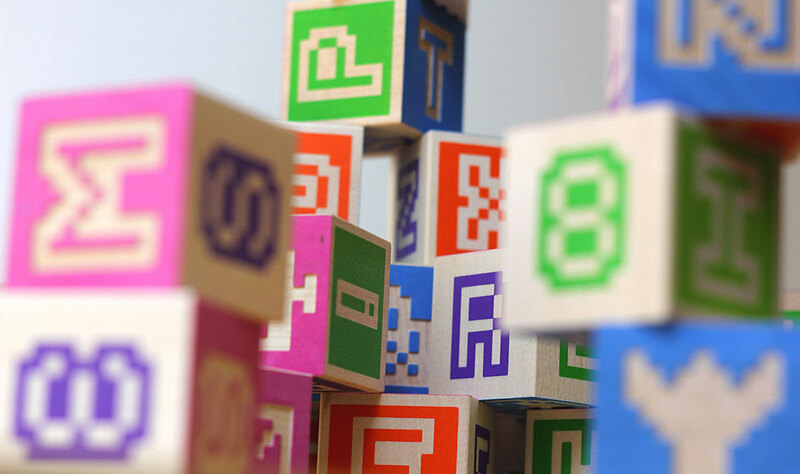 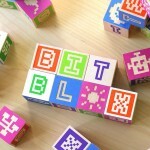 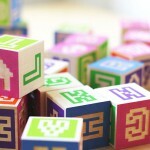 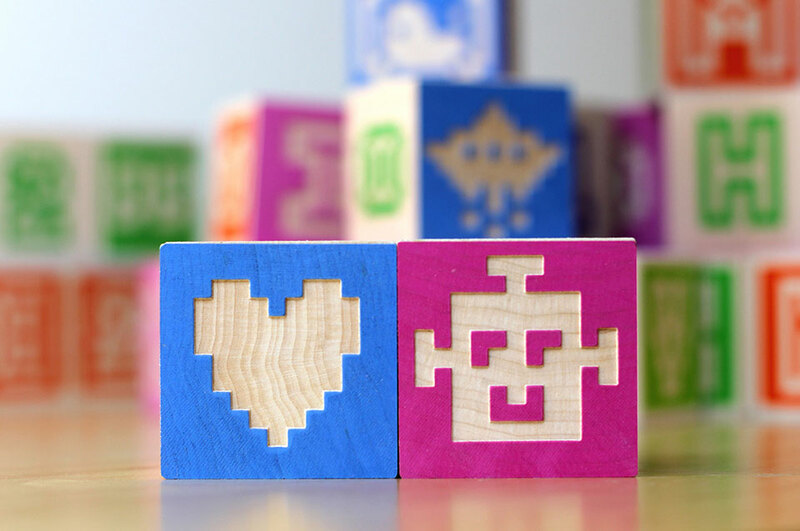 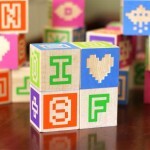 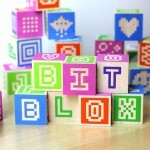 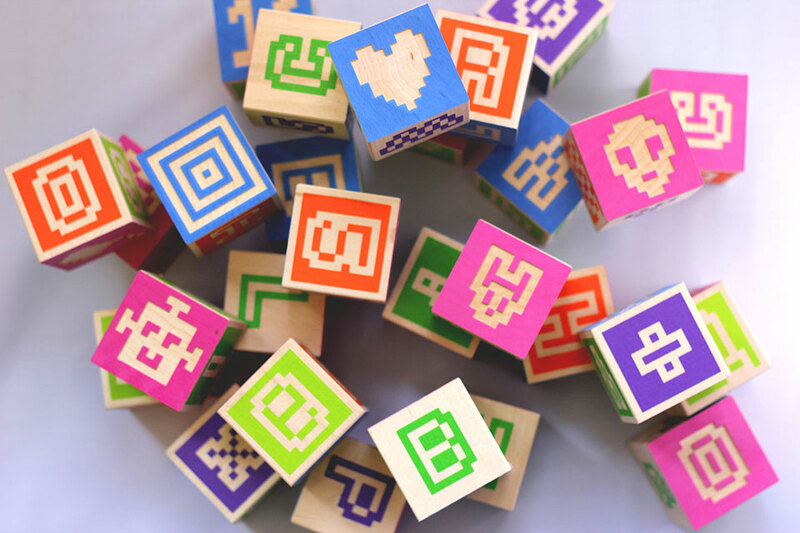 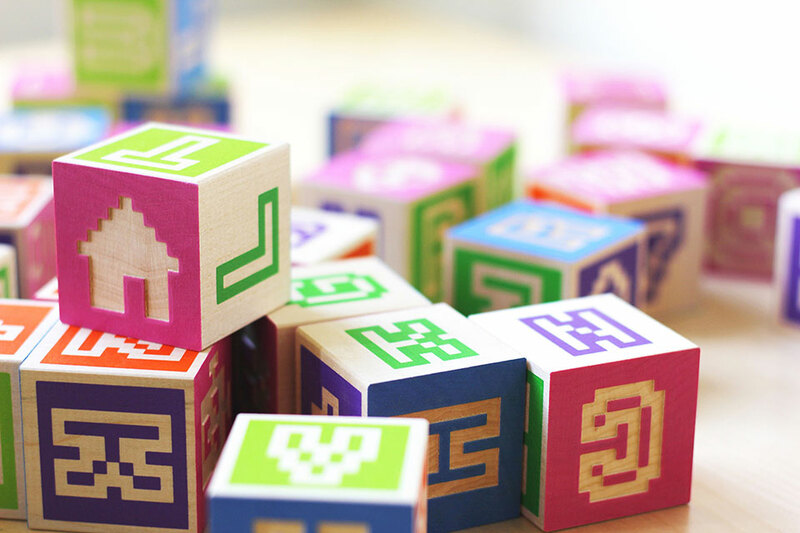 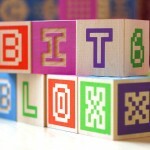 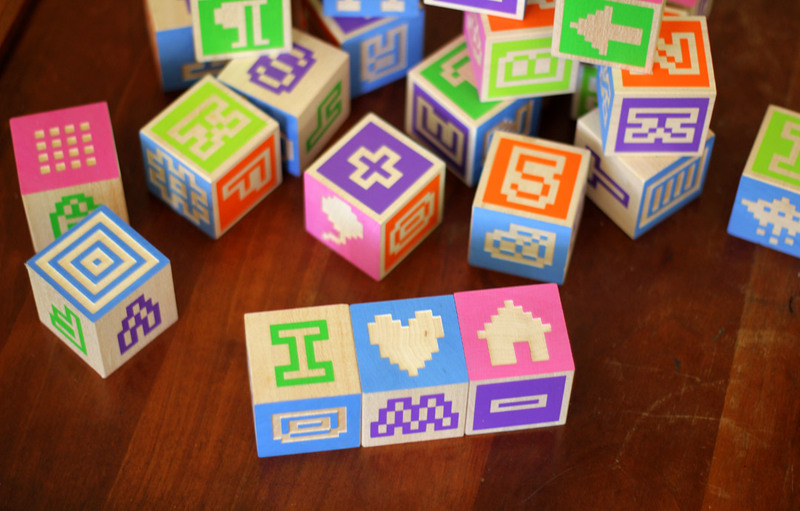 Each set of Bitblox includes 28 blocks, featuring a total of 168 letters, numbers, symbols and quirky pictograms. 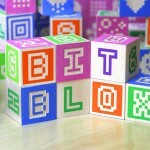 Bitblox are a limited-edition item, available exclusively from Glyfyx. 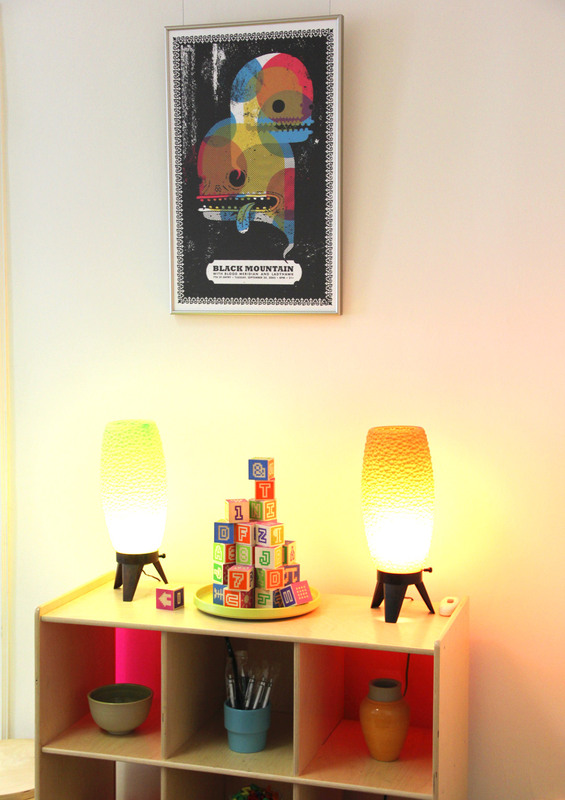 A numbered and signed Certificate of Authenticity accompanies each set. 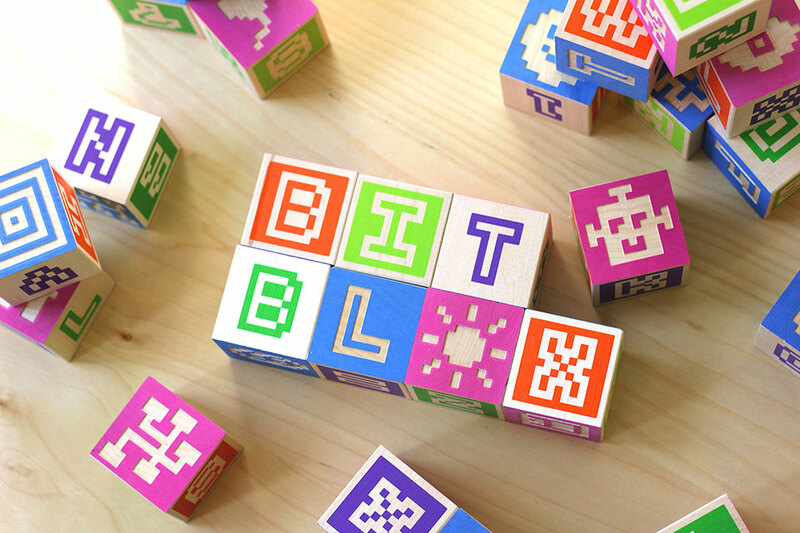 Only $45 — in stock and shipping today (USA only). 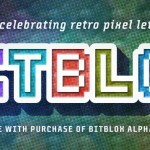 Bitblox are inspired by the low-res pixel fonts found on the computer screens of yore. 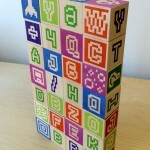 Each letter is built on a 13×13 grid. 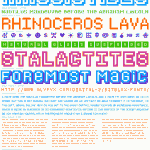 What other prime integer hits that sweet spot just between 12 and 14, huh? 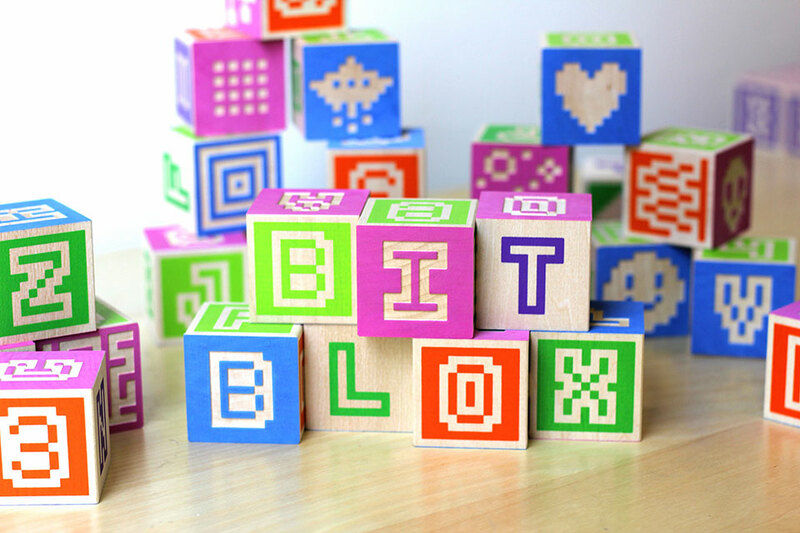 We wanted to be able to spell out words and messages with a set of Bitblox, so we included each letter thrice, with even more of the common letters like a and e. There are also two of each numeral. 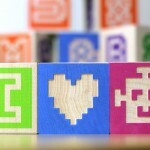 Each symbol was painstakingly (and nostalgically) crafted. 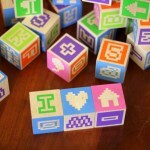 Remember floppy disks? 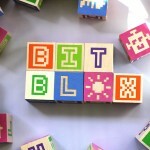 System crash bombs? 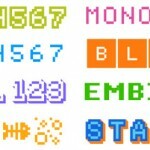 Paragraph symbols? 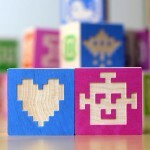 Now they are forever engrained (embossed, actually) onto little wooden blocks you can pick up and enjoy. 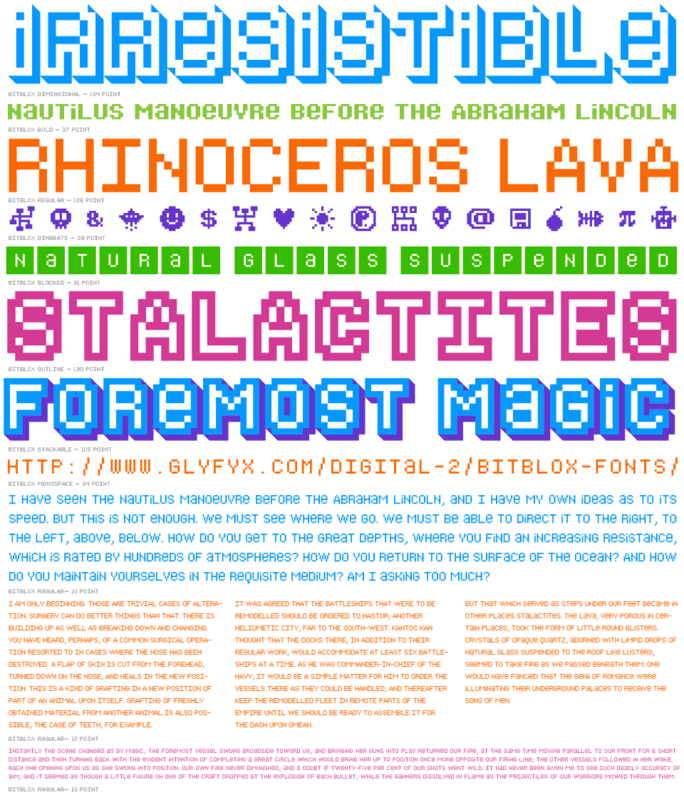 Each set consists of 28 blocks (168 glyphs total). 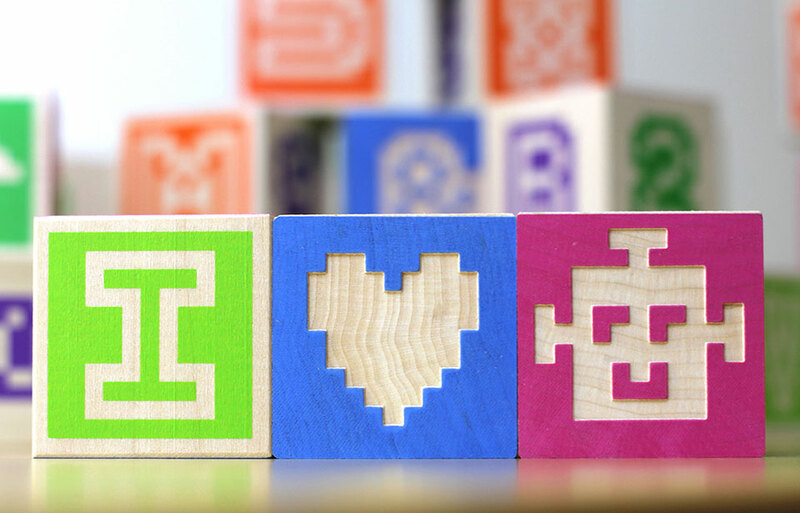 Made from renewable, American grown, kiln-dried basswood. 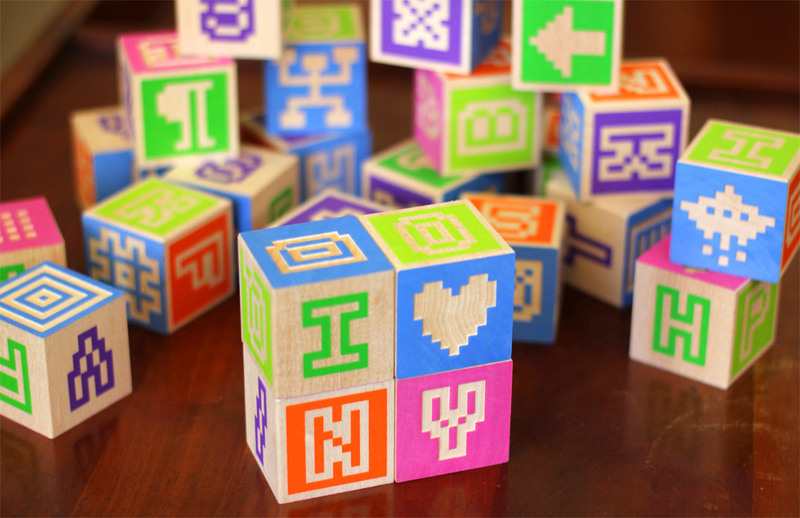 Hand-manufactured in the United States. 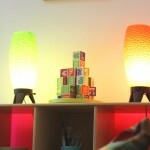 6 vibrant colors: blue, pink, orange, chartreuse, purple, green. 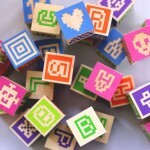 Printed with non-toxic, child-safe inks. 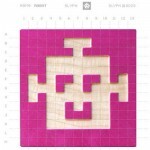 Each block is 1¾ x 1¾ x 1¾ inches. 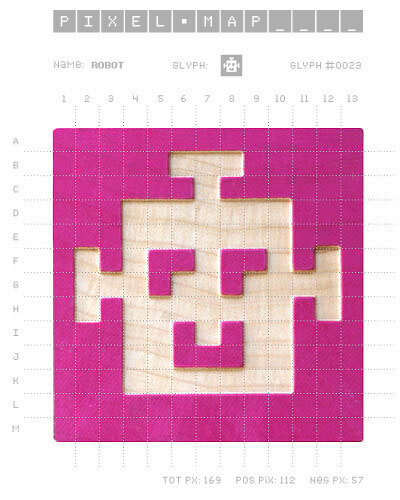 56 embossed faces (suitable for paper rubbings!). 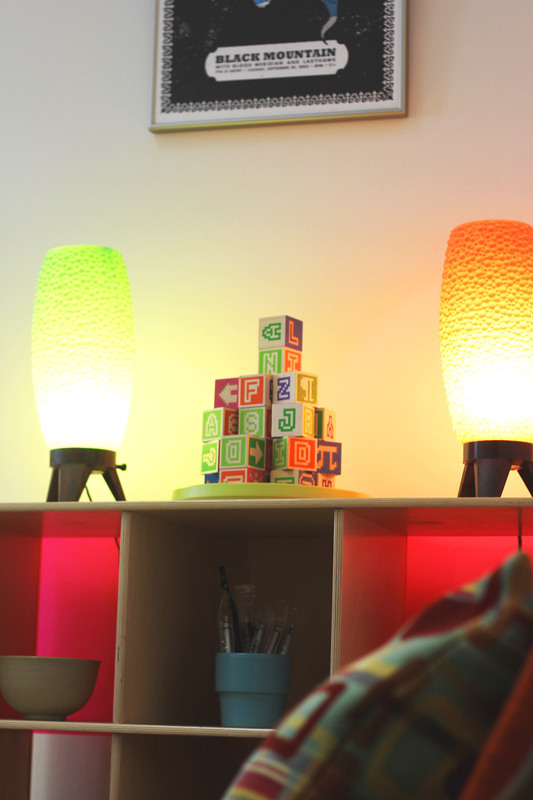 Slight variations in color and texture may be present in the wood, making each set truly unique. 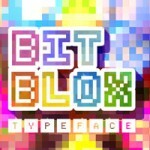 Each Bitblox set includes a free digital typeface you can install and use on your computer. 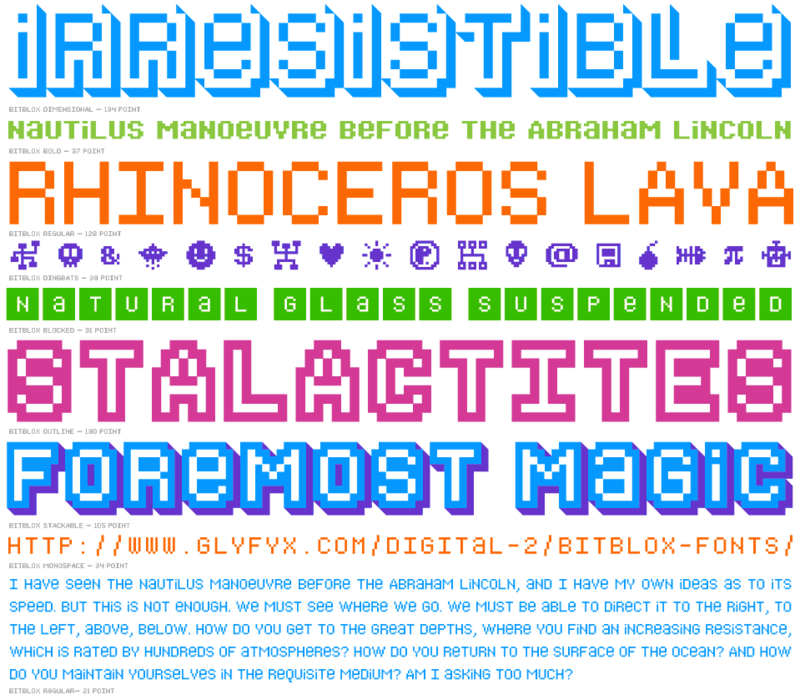 These 8 fonts can also be purchased separately for $29. 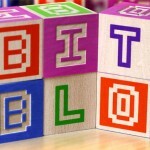 Download high resolution Image files as a .zip archive. 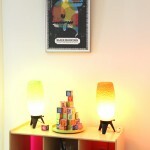 Contact us if you’re interested in additional images (including custom ones).